The Bitcoin is becoming increasingly popular to use, as the Bitcoin community is constantly expanding and the mainstream population is also beginning to see the benefits of using the cryptocurrency to pay with, as well as sending funds with. 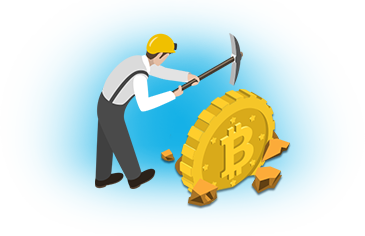 But despite the massive increase in mainstream transactions and companies accepting Bitcoins completely legal and regulated, the amount of Bitcoins processed in the “regular” markets are not close to the same numbers as the underground markets process. In 2013 we saw the biggest Dark Web market place, known as Silk Road, being shut down by the FBI. The feds had been infiltrating the organization over a longer period of time and arrested the alleged operator and founder of Silk Road. While the FBI probably hoped for Silk Road to be one of the last market places to exist in the Dark Web, tons of sites continues to pop up and operate despite many being shut down all the time. Now some official numbers have been released which shows that the Dark Web market places averaged $500,000 in Bitcoin transactions a day in 2014, ranging from $300,000 to $650,000 a day. But despite the big numbers, it is still such a small portion of the overall illegal market transactions that it doesn’t make much of a difference – except for the Bitcoin. The Bitcoin has been associated with many shady things in the past and the people working towards creating a better picture of the cryptocurrency are not happy about this path continuing. The Bitcoins anonymous nature makes it a very good way to sell drugs, weapons and other things illegally, but the sellers on average doesn’t really make any money, which in turn may cause them to leave it all together in the long run. “About 70 percent of all sellers never managed to sell more than $1,000 worth of products. Another 18% of sellers were observed to sell between $1,000 and $10,000 but only about 2% of vendors managed to sell more than $100,000. In fact, 35 sellers were observed selling over $1,000,000 worth of product and the top 1% most successful vendors were responsible for 51.5% of all the volume transacted.” The report issued reads. “Psychedelics, opioids, and prescription drugs are a little less than 10% of market demand each, although starting in November 2014, prescription drugs have gained significant traction—perhaps making anonymous marketplaces a viable alternative to unlicensed online pharmacies,” The report further states. This numbers shows that more sellers are trying their luck on the Dark Web market places, but that very few actually succeeds in making money, which in the long run will drive people away from the market places and only a few sites will be left with the same “big guns” selling their stuff. While not ideal for the Bitcoin as a whole, given the nature of the purchases being made, there’s still a positive aspect to take out of the story as it shows that the Bitcoin can work as an independent currency and handle large amounts of transactions with little to no fee and a high security level. Once the Bitcoin distances itself from the illegal market sales and gains ground in the mainstream environment, then we will be able to see why it is the currency of the future.